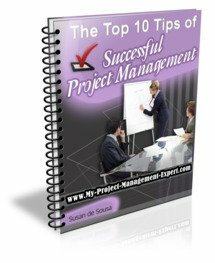 Many people think that the keys to successful project management are loads of tasklists of "things to do" and micromanaging resources. Well in my view they are totally wrong. As someone who has successfully delivered numerous projects I would go so far as to say that the foundation on which all good projects are built, is that the Project Manager took extreme care in writing an accurate Project Scope Statement in the Project Initiation document. Certainly it is the first thing I read when parachuted in to turnaround a failing programme or project, and 9 times out of 10 I discover that the Project Scope Statement was badly drafted, vague and open to intepretation. You might think this is a good thing. After all if the project scope is vague then how can anyone really tell what was mean't to be delivered and what wasn't? The problem is that all this causes is arguments, confusion and disagreements. You then quickly end up in a position where no-one is happy with what the project ends up delivering and you as the Project Manager look completely incompetent. It all looks straightforward enough and certainly doesn't shout out "Project Scope Statement Big Big Problems", which is why too many Project Managers skim over this without another thought. However imagine you've just been asked to initiate a project to launch a new website. Sounds easy enough doesn't it? But have a another think. What does that actually mean? Do they want a simple 5 page static website which will rarely be updated? Do they want a 5 million page website which includes Video on Demand, User Forums and loads of flashy components? Or do they actually want an ecommerce shop website? So imagine the problems you would have going forward if you wrote the following as the Project Scope Statement. After all the questions which immediately spring to mind are endless. For example just how many products will the site sell? 100 or 1 million. How will users purchase online and do they have to register first? Does the Organisation have a corporate image and will the translate onto the web? How often will new products be uploaded and what does easy to maintain mean? So imagine if there are so many questions regarding a simple 5 line Project Scope Statement, just how many there are likely to be throughout the project when scope is being discussed. Now you may think you have a good idea of what it is that is required, but until you actually start asking the Project Sponsors what it is they want, you will not know definitively let alone be able to articulate it. Plus you may well be rather surprised to find that what the Project Sponsors want, and what you think they want, are two very different things entirely. The Number 1 tip when you start researching this section is that you need to ask the right questions, clarify the answers and really keep an eye on the detail. Otherwise you'll just store up often irreversible problems further down the line such as scope creep as well as serious issues with your project budget. It may sound sensationalist to say so, but more projects fail to launch due to problems with Scope than anything else. You only have to look at the UK's NHS C Norris Programme which has already over-run by 4 years to a cost of $25 Billion to see the impact of this. So please check carefully through the remainder of this section and ensure your project gets off to a good start so that you don't suffer the same fate.